Capital gain is the taxable profit resulting from the sale of many types of investments, including investment property. Capital gains are classified as short-term if you hold the property for less than one year and long-term if you hold for a year or more. Short-term gains are taxed at the same rate as ordinary income -- up to 35 percent depending on your tax bracket. Long-term gains are taxed from zero to a maximum of 15 percent as of 2010. Because most investment property is held more than one year it is usually subject to no more than a 15 percent tax rate. This is one of several tax advantages of owning investment property. Capital gains were treated as regular income prior to 1922. Capital gains rates were first lowered and fixed in 1923. Although the rates have varied over the years, they have been substantially lower than ordinary tax rates every year between 1923 and 2010, with the only exceptions being between 1988 and 1990. Capital gains are determined by subtracting the purchase price and the cost of capital improvements from the sales price. If you bought a rental property for $250,000, which includes costs associated with buying, like attorney fees and loan points, and sold it for $400,000, which also includes sales costs, and put $100,000 of improvements into the property, you would end up owing taxes on $50,000 of capital gain [$400,000-($250,000+$100,000)=$50,000]. 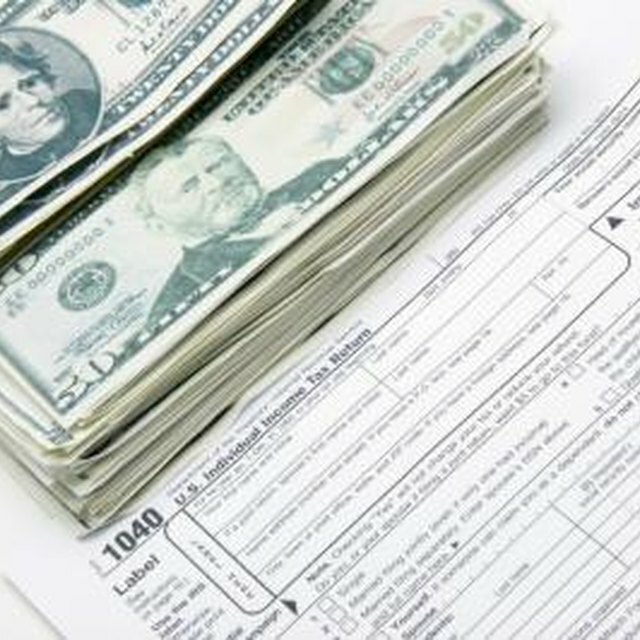 Assuming you held the property more than a year, you would owe no more than15 percent tax on $50,000, which is $7,500. Depreciation is a deduction you are allowed to claim on property investments. It can amount to tens of thousands of dollars a year for an investment property under $500,000. Although capital gains tax does not consider depreciation, there is a related tax regulation referred to as the 25 percent depreciation recapture rule. In addition to the capital gains tax, you are taxed 25 percent of the amount of depreciation you claimed over your term of ownership. The key benefit of long-term capital gains is the low rate at which it is taxed. Whether your profit on investment property sales is $10,000 or $1,000,000, your federal tax rate, as of 2010, on the profit is not going to be more than 15 percent. This is also true regardless of what ordinary income tax bracket you are in. Section 1031 of the IRS code allows you to sell investment property and use the profits to buy a like-kind property without paying any capital gains or recapture tax. This is called a deferred, "like-kind" or 1031 (after the IRS code section) exchange. Requirements include having an objective third party hold the profit prior to your replacement purchase and time limitations for identifying and purchasing the replacement property.